Send your your Valentine something better than chocolate…Valentine Creative eGift Card Often times we are left thinking about how to surprise a loved one on Valentine’s Day and for those that are creative, it can be even more of a challenge (unless you already know what they want and got the signal from the quarterback…..
Jerry’s Artarama will see you at HeroesCon 2013 in Charlotte NC Going to HeroesCon in Charlotte this year? We hope to see you there! In addition to this being the 31st anniversary for HeroesCon, it will be twice the size of any previous year. (floor space will be larger than 4 football fields…. Wow….. Sponsor of the Artful Gathering Blog Hop Prizes! 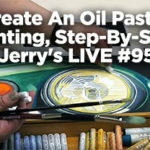 Michael Marchetta, Director of Marketing Operations To celebrate the opening of Artful Gathering’s 2nd Annual Online Art Retreat, Jerry’s is offering 3 prizes for the Random Prize Drawing. 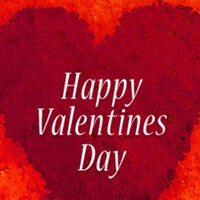 This includes participants who have hopped from blog to blog since January. The blog hop has already….. 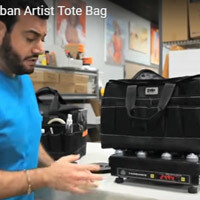 Prove it-Is the SoHo Urban Artist Tote Bag sturdy water resistant and can it withstand all conditions? Prove It! In this segment of Prove It! Mikey G looks to prove that the SoHo Urban Artist Tote Bag is sturdy, water resistant and can withstand all conditions.” By putting it to the torture test, Mikey G goes through a series of experiments to test the performance, durability and claims of the Soho Artist…..
We’ve decided this month that the best people to choose our Artist of the Month is YOU! 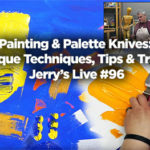 Each month Jerry’s Artarama will: Select one artist to be featured on our facebook page Display their artist statement and images on our Facebook page as well as the SPLATTER blogazine. 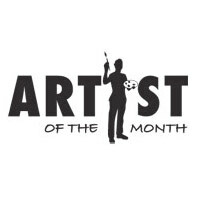 The artist of the month will also…..